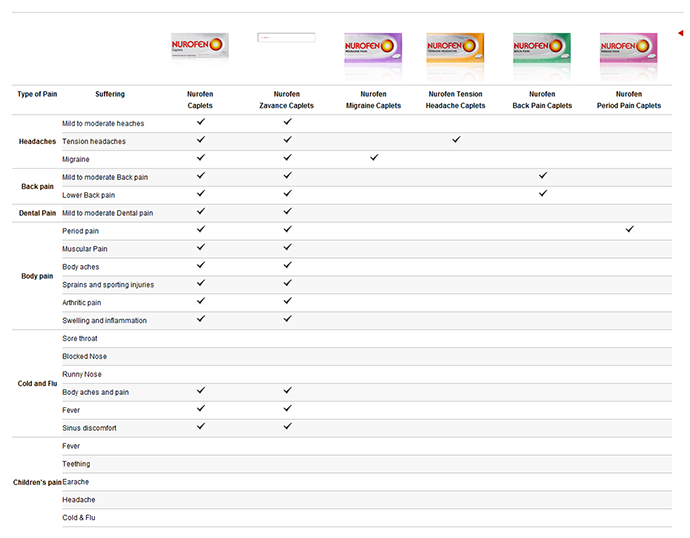 The Nurofen Specific Pain Product range consists of Nurofen Back Pain, Nurofen Period Pain, Nurofen Migraine Pain, and Nurofen Tension Headache. solely treated a particular type of pain. 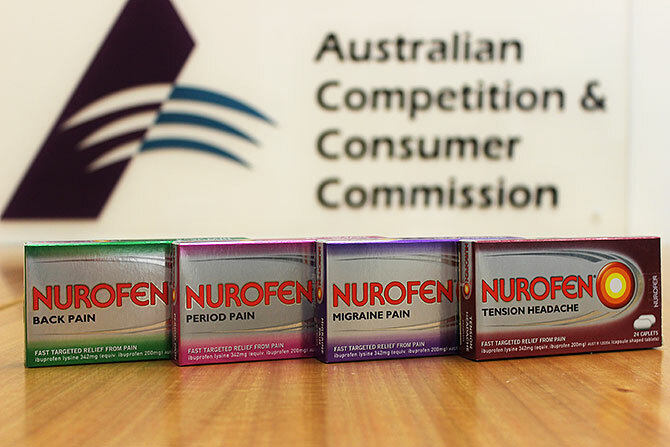 The ACCC alleges that these representations were false or misleading because the caplets in all four Nurofen Specific Pain Products are identical and each contain the same active ingredient, ibuprofen lysine 342mg. All four products are also approved on the Australian Register of Therapeutic Goods as being suitable for treating a wide variety of pain types. “The ACCC takes false or misleading claims about the efficacy of health and medical products very seriously,” ACCC Chairman Rod Sims said. “In this case, we allege that consumers have been misled into purchasing Nurofen Specific Pain Products under the belief that each product is specifically designed for and effective in treating a particular type of pain, when this is not the case,” Mr Sims said. In Australia, Reckitt Benckiser markets and supplies a range of consumer health and household brands, including Nurofen, Mortein, Clearasil, Finish, Airwick and Gaviscon. The ACCC is seeking declarations, injunctions, an order for the publication of corrective notices, penalties and costs. This matter is listed for a case management conference on 31 March 2015 in the Federal Court of Australia in Sydney. The ACCC recently released its Compliance and Enforcement Policy which identified truth in advertising and consumer issues in the health and medical sectors as key areas of priority for 2015. Figure 1. Composite screenshot from Nurofen website (www.nurofen.com.au) 26 September 2013. Nurofen have since amended the page.